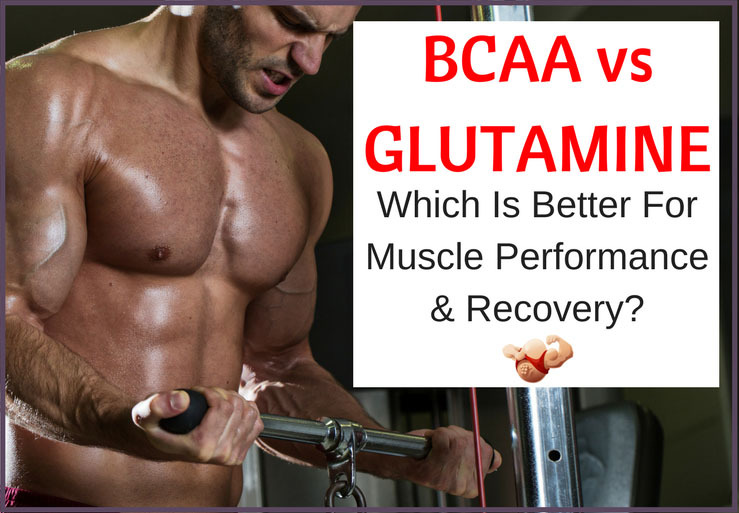 BCAA vs Glutamine: Which Is Better For Performance & Recovery? BCAA and Glutamine are two supplements that many consumers use for a number of reasons. However, they are most commonly used for boosting performance and recovery in athletes. So, why is supplementation required, and what is the difference between the two substances? BCAA refers to branch chain amino acids. These are not made by the body so they need to be taken as a supplement. Supplements normally contain three amino acids; valine, isoleucine and leucine. They are used to help muscle growth and to prevent muscle wastage. BCAA’s are essential amino acids so to avoid a deficiency, you need to consume them through your diet. Glutamine is the most common amino acid found in the body. 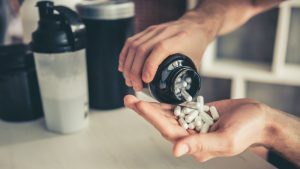 Unlike BCAA’s, glutamine can be produced in the body and while its typically a non-essential amino acid, its becomes essential when the body is under strain, such as illness or injury. Glutamine has many uses, including aiding the healing process, boosting the immune system, and helping with exercise recovery. In athletes, glutamine can help with sore muscles, endurance and muscle growth. This is due to the fact that glutamine can be quickly converted into glucose, providing energy to cells and preserving muscle tissue. BCAA VS Glutamine: Which One Is Better? However, glutamine can increase the rate of muscle growth due to its involvement in human growth hormone regulation and production. Glutamine helps to increase human growth hormone to activate protein synthesis and increase muscle volume. In terms of improving muscle recovery in-between workouts, studies have shown that BCAA’s can aid recovery and the immune system. 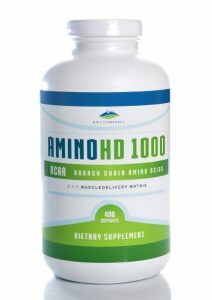 BCAA’s are mainly synthesized in the muscles and a 2006 study suggested that they may promote muscle repair after workouts while decreasing exercise induced muscle damage. However, glutamine is more well-known for boosting immunity and muscle recovery. Glutamine levels plummet when the body is put under stress, such as intense exercise. Therefore, glutamine supplementation is required to increase levels back to normal so that the functioning of organs can function correctly. Studies have revealed that taking glutamine reduces muscle soreness2 while another study determined that supplementation can aid the immune system during heavy load training. 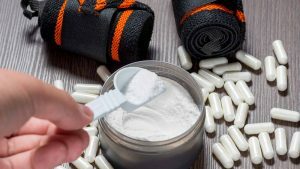 Can BCAA’s And Glutamine Be Used At The Same Time? 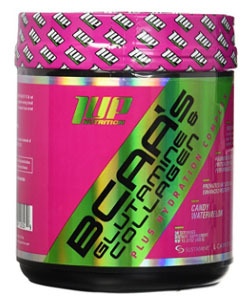 Both BCAA’s and glutamine (or L-glutamine as it is otherwise known) can be taken together or stacked. There are many supplement brands that offer both substances together. 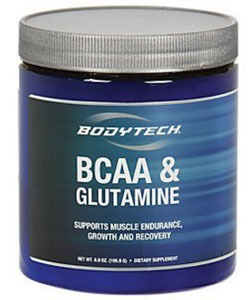 However, even if you are new to supplementation, you can stack BCAA’s and glutamine together. To use BCAA’s and glutamine in your daily routine, consider taking them pre-and post-workout, as well as before bed. If you’re a beginner, start with 2-3 grams per dose of glutamine and work your way up slowly to 5 grams. If you’re not new to supplementation, consider taking 7 to 10 grams per dose (three times daily). 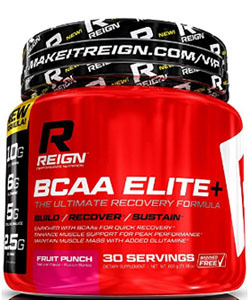 For BCAA’s take 5-10grams in the morning, pre-workout and post-workout. Remember to consume supplements as part of a high protein, low calorie diet if you want to build and maintain muscle. Foods like wheat bread, wholemeal pasta alongside turkey, eggs, chicken and lean beef will help you to boost muscle mass. This supplement workout powder is formulated with BCAA’s, glutamine, citrulline malate and other amino acids to support muscle recovery after strenuous exercise, helping you to train harder and support muscle growth and maintenance. In a delicious fruit punch flavour, mix this powder supplement with water and your favourite shake and consume. As well as containing 30 servings, this pack of supplement has a 60-day money back guarantee, so if you’re not satisfied, you can claim a full refund. This 6.9oz of powder by BodyTech contains 30 servings and is great value for money. Ideal for beginners, this BCAA and glutamine powder can be mixed with your favourite drink or water and is perfect for muscle recovery, growth, and endurance. Designed for women, this supplement is formulated with L-glutamine, BCAA’s and other ingredients to aid muscles after exercise. The supplement contains 30 servings and comes in three different flavors; pineapple, candy watermelon and raspberry lemonade. The blend also promotes joint health and increases the energy stores within the body. Quick and easy to absorb, the 1 UP Nutrition Her BCAA’s, Glutamine and Collagen plus Hydration Complex is ideal for vegans and those new to supplements. These extra strong tablets by Raw Barrel contain 120 tablets. The pure formulation is ideal for muscle mass and contains 1000mg of BCAA’s per tablet. Offering great value for money, the product comes with a free digital guide on fitness and a money back guarantee, so if you’re unhappy with your supplement, you can receive your money back. 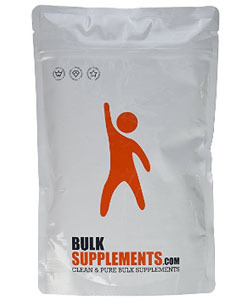 This pure glutamine powder by Bulk Supplements is lab tested for quality and safety. 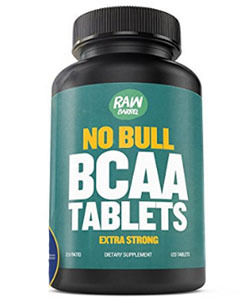 Perfect for muscle growth and preventing muscle loss, this supplement offers 400 servings per 1kg bag and is ideal for stacking with a BCAA product. 1. Anthony JC, Yoshizawa F, Anthony TG, Vary TC, Jefferson LS, Kimball SR (2000) Leucine stimulates translation initiation in skeletal muscle of postabsorptive rats via a rapamycin-sensitive pathway. J Nutr.(10):2413-2419. 2. Groff J, Gropper S, Hunt S. (1995) Advanced Nutrition and Human Metabolism. Second Edition. St. Paul, MN:West Publishing Company.